Blog/Why do some yoga poses hurt? 1. Dehydration. This is a serious condition and is accompanied by a host of other symptoms like the inability to uncurl the fingers, vomiting, confusion and difficulty breathing. Individuals who are dehydrated need immediate intervention. This is not the cramp you get during cobra. 2. Mineral deficiency. These cramps are generally not experienced during exercise. Nighttime leg cramps can often be attributed to a deficiency or imbalance in calcium, magnesium or potassium. Talk to your healthcare provider about an appropriate supplement if you experience nighttime cramping. 3. Exercise intensity. Dr. Martin Schwellnus proposes that as you increase the intensity with which you are using a muscle, it can take time for the brain and body to synchronize, resulting in over-contraction of the muscle. 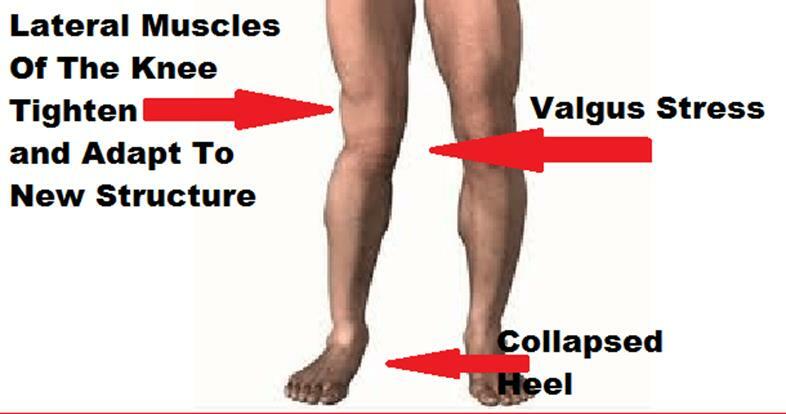 This occurs particularly when the muscles are fatigued. This period is known as “altered neuromuscular control” and was originally theorized because studies have shown no correllation between hydration and electrolyte levels with muscle cramping in extreme athletes. ‍Keep your breathing regular and slowly decrease your intensity and watch that cramp melt away. In a nutshell, cramps in class are not dangerous. Don’t panic. ‍I hope that is bold enough to get you to make a change. Your teacher said your foot should be pointing straight up over the top of your head in Standing Bow. Yours is pointing over at a boat moored across the river in Kittery and you are surprised your sacroiliac injury isn’t getting better? ‍You want to come down lower in half moon, so you turn your chin, twist your spine and collapse your chest. I guess yoga causes neck injuries. ‍You keep losing the grip, so you use a towel to augment your hand strength. Ah! It’s yoga, not tennis that causes rotator cuff injuries. Phew! ‍Or are your ready to take responsibility for your actions and use yoga to change your body and your life? There are very specific reasons for the way your yoga teachers cue the postures. The sequence of the cues is critical. The words we use intentionally to create specific actions in your body to keep you safe, and to help you maximize the therapeutic benefit of your practice. 1. Frequency. You have to show up. Regularly. Not once a week you show up and work so hard you pass out, puke twice and have to go home and take a nap. Regular, consistent, dedicated practice. You are worth it. 2. Accuracy. Alignment is the first priority in any pose. Even if you can only move one inch into the pose. With no alignment, there is no therapy. 3. Intensity. Only when you are showing up regularly, and executing the postures with accuracy and precision in your alignment, do you add the intensity and depth. Intensity is the privilege of the mindful practitioner. We see it and want to achieve it. We know if we work hard, we can pull ourselves up by our yoga mats and live the yoga dream.